Don’t get me wrong; my boyfriend and I have got plenty in common. We also have a few fundamental differences. Things I have a hard time getting past. Things at the very core of who we are. Things like he doesn’t like ants on a log. Say what?!? Who doesn’t like ants on a log? Who is this man and what is this craziness? I wouldn’t think twice about them as a cocktail party snack or lining up a whole forest of fallen logs and calling it dinner. Not my Matt, though. I know. We should seek counseling. But in the spirit of Valentine’s Day, I am reaching out. I’ve created an hors d’oeuvre that screams classy (for Mr. Fancy Pants) but actually caters to my inner desire to feast on ants on a log. 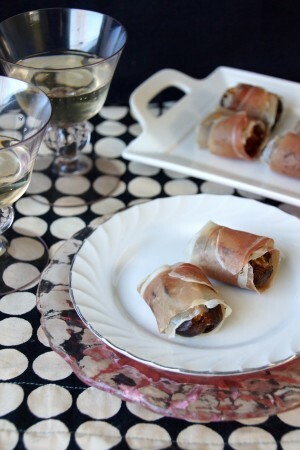 They’re prosciutto wrapped almond butter & chèvre stuffed dates and they are totally addictive. Matt’ll dig them because I’ve replaced the raw celery with prosciutto. His much hated raisin-ants are now giant Medjool date-beetles. And the peanut butter has been swapped for almond butter and chèvre because, well, peanut butter and prosciutto just felt wrong. 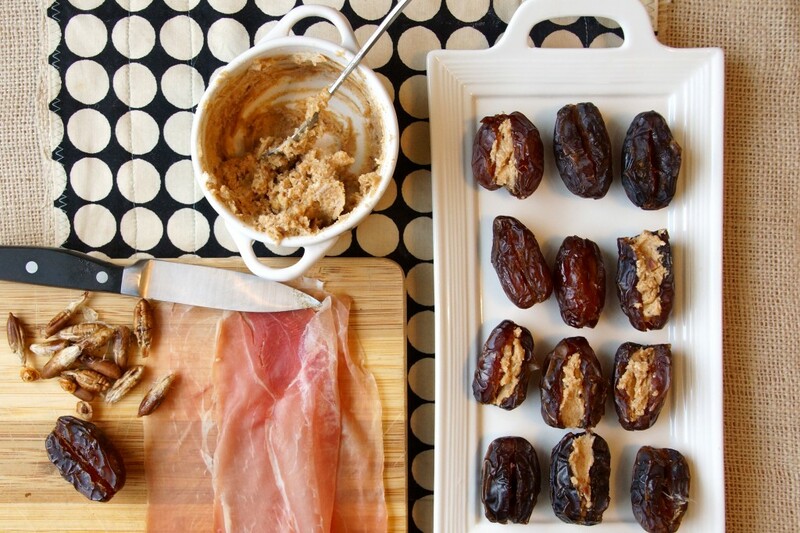 This might taste fancier than ants on a log, but these stuffed dates are no harder to make. 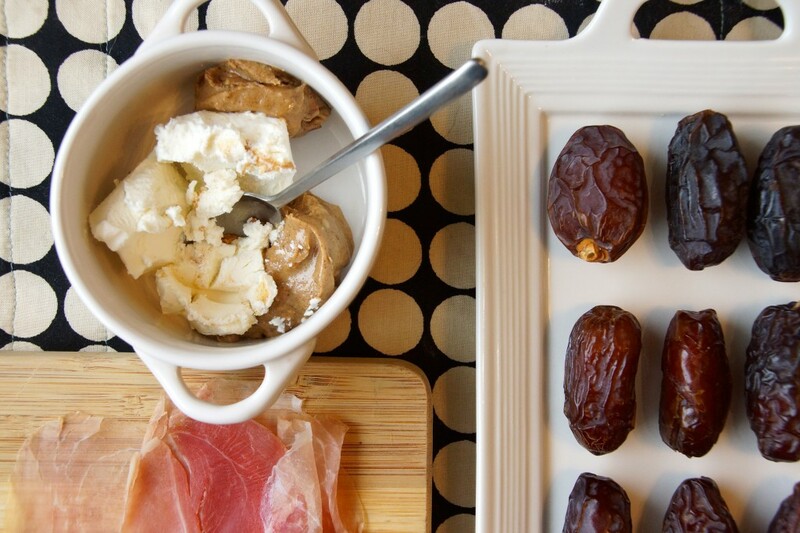 Mix softened goat cheese with almond butter. Slit and pit each date. Spoon in the filling, squeeze shut. 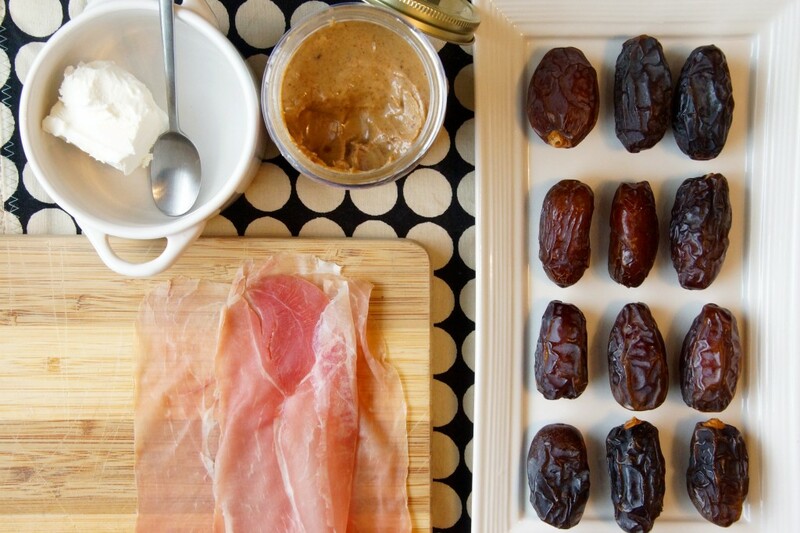 Wrap with prosciutto and pour a little white wine or a bit of bubbly. Cheers to your similarities and celebrate where your differences take you. Happy Valentine’s Day! 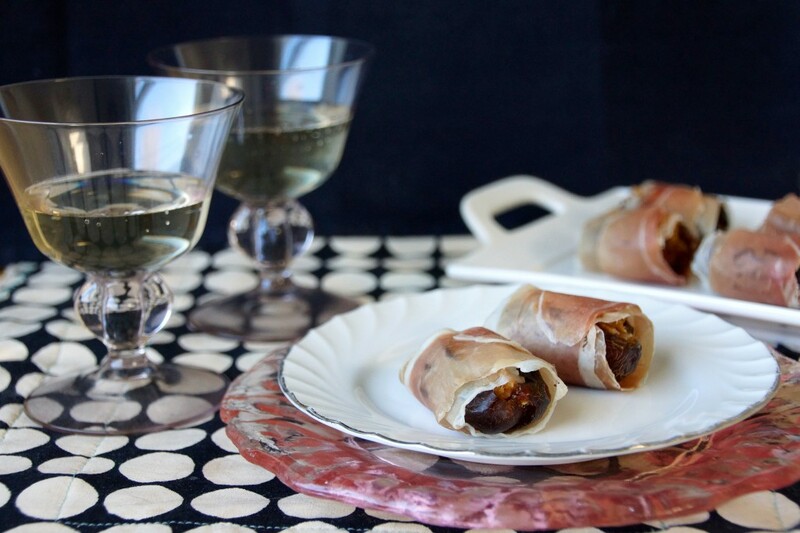 These prosciutto wrapped dates make a nice snack with cocktails or white wine and can easily be made ahead of time. 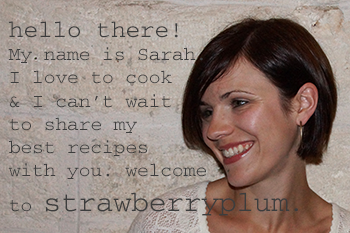 If making them ahead, allow to come to room temperature before serving. Cut a slit lengthwise in each date and remove pit. Combine chèvre and almond butter. Spoon mixture into the the center of each date and press closed. Cut each piece of prosciutto in half, lengthwise. 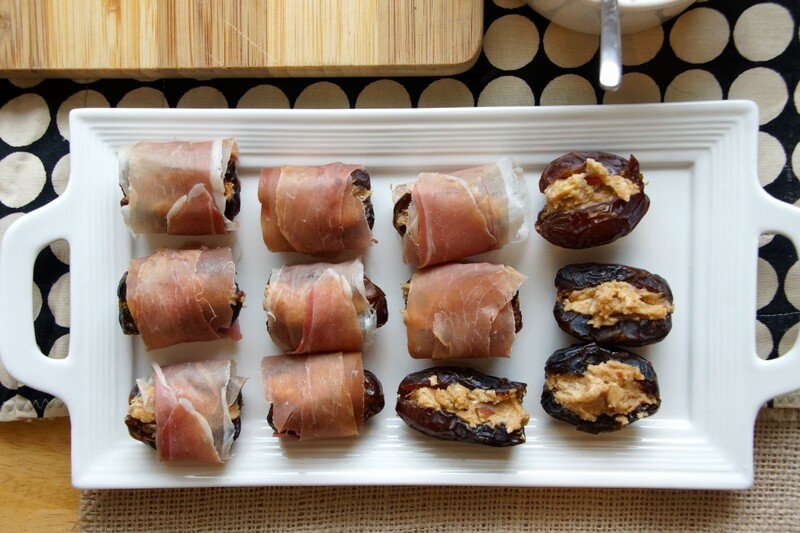 Wrap each stuffed date with prosciutto. Serve at room temperature. What’s with these guys? They don’t know what they’re missing!